Kerala comes out to be one of the most sought after destinations for solo travelers, families, friends, and couples. The green meadows, the golden sand beaches, the welcoming waterways; are just perfect for a vacation with your loved one. Are you planning for a romantic escape with your partner? Well, Kerala brings you some of the most popular and romantic beaches for you to have a memorable experience. There are some popular beaches in Kerala that you can explore with your better half, and indulge in quite a lot of activities as well. So surrender yourself to the beauty and serenity of the place along with your loved one and have the best time of your life. Bathe under the emerald waters as you get sun-kissed the moment you set foot. Kovalam is a renowned destination which houses three adjacent crescent beaches. 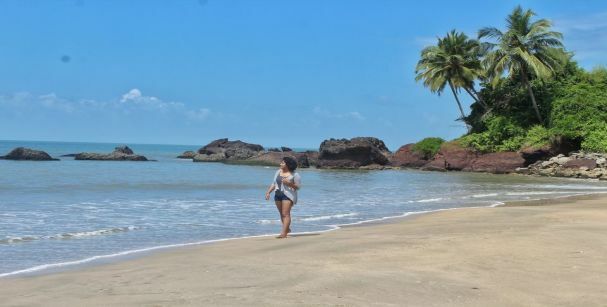 Located 16 km away from the capital, this beach is perfect for the couples looking for some quietude. The budget cottages, Ayurveda resorts, massage centers, and swimming pools add to the comfort that you had been craving for all this while. Not only that, the beach complex includes a flurry of shopping zones and restaurants that you can explore. 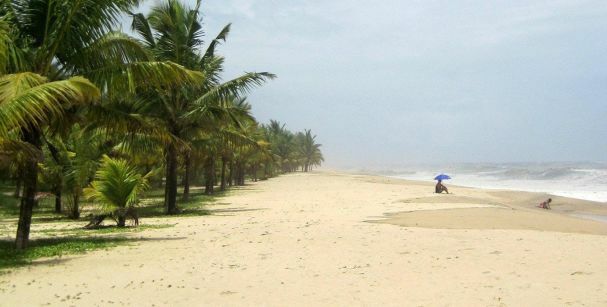 The Kannur beach is one of the lesser known beaches, which is just the perfect choice for you and your partner. Known for its pristine beaches, religious centers, and its breathtaking landscape, the Kannur is an epitome of natural beauty. You can spend some quality time with your partner at the Kannur beach, and soak in every bit of the warmth and serenity that it has to offer. You can stay in some of the best beach resorts such as the Ocean Hues, Mascor beach Resort and many more. So book them while picking from the best honeymoon packages in Kerala. Situated in the Alappuzha district of Kerala is the Marari beach, perfect for a romantic escape. The warmth of the sun, the gentleness of the sand, and the frequent waves make the beach tranquil and serene. The quietude that the beach reflects is almost equal to meditation and is every couple’s paradise. If you want a luxurious stay, then Mararikulam Beach Resort is one of the best resorts that you will find. You can also indulge in relaxing Ayurveda treatment to rejuvenate your senses with your loved one. 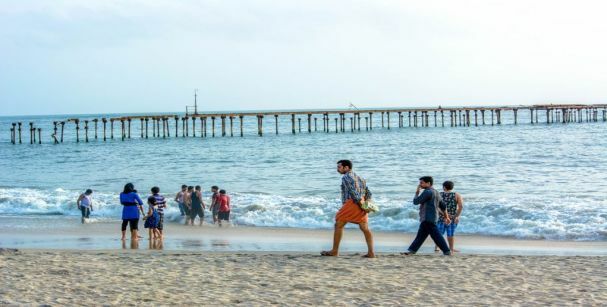 One of the famous beaches in Kerala, the Cherai beach brings you an amazing travel experience as you move hand in hand with your partner along the shore. Known for its panoramic view, and its soothing effect, the Cherai beach is all set to make you have the best time of your life along with your partner. Go for a swim, take a sunbath, indulge in some fishing or just witness the sunset; feel free to make the best memories on your visit to the beach. Vivanta by Taj, Fort House, and Trident are some of the most luxurious resorts that you can check into for a romantic stay. Also known as the Venice of the East, the Alappuzha beach is one of the top beaches in Kerala. Its boat rides, traditional dance performances, and adventure sports are just not to be missed. You can also head to the backwaters to enjoy a scenic ride with your better half. So book the best beach resorts near the beach and make your romantic escapade special. 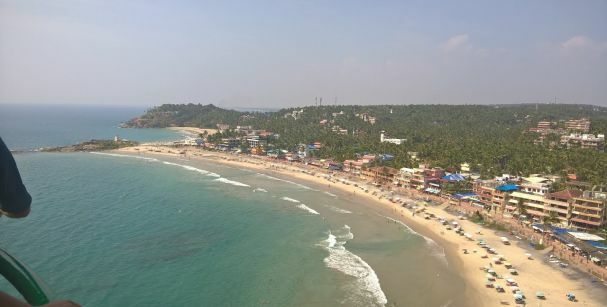 Those unending coastlines, those waving palm trees, the glittering seas, and the sandy shores; all together reveal the very essence of Kerala. These beautiful beaches in Kerala are just the perfect romantic getaway that is welcoming as ever. 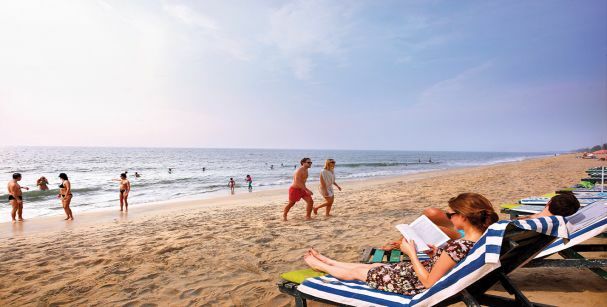 From sun baths to adventure sports, from swimming in the waters to exploring the markets, from watching the sunset to camping under the stars: the beaches in Kerala offer a perfect vacation. So when you book for the best Kerala tour packages, make sure it includes a trip to those mesmerizing beaches. So wait no more and get ready to explore what Kerala has in store for you!